At BTE Communications, we're dedicated to giving businesses in Sacramento, Santa Rosa, Davis, and Elk Grove the best value in telephone answering services. We are a family owned and operated call center with over 55 years of experience. 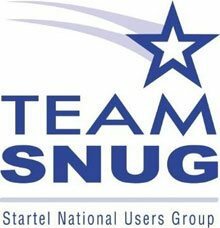 We feature highly trained agents, the latest Startel technology, and personalized service to help our clients with all of their phone answering needs. 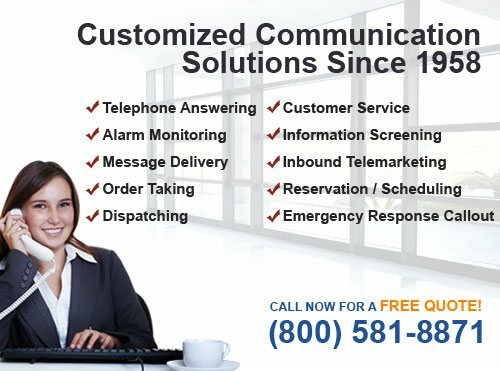 Our services include, but are not limited to, customer service, inbound telemarketing, alarm monitoring, emergency response coordination, voice mail, call routing, dispatching, advanced messaging, and scheduling. BTE Communications has thousands of satisfied clients from across the United States. These clients include businesses of every size and from a wide array of industries, such as oil drilling, education, healthcare, government, sales, non-profit, HVAC, equipment rental, and more. 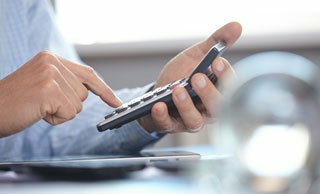 In every case, we gave them a telephone answering plan that met their specific needs at a price that fit their budget. Call today for a free consultation. BTE Communications offers Sacramento businesses advanced voicemail services, such as voicemail trees, custom hold prompts, personalized mailboxes, voicemail message transcriptions, and more. Whether you need one general voicemail box or a voicemail box for everyone in your company plus a voicemail tree, we can help. Our voicemail services are completely customizable and affordably priced. Call today for a free estimate. BTE Communications' virtual receptionist services help businesses in Sacramento, California, save money while improving their responsiveness, availability, and customer service. Our virtual receptionist services involve having our professional phone operators answer your calls, use your call script to answer frequently asked questions, route calls, forward select calls to voicemail boxes, schedule appointments, take RSVPs, take messages, and more. To improve your Sacramento business's ability to respond to alarms that detect oil leaks, gas leaks, fires, or other dangerous conditions, call BTE Communications. At BTE, we can remotely monitor your pre-existing alarms 24 hours a day. This means that when they are triggered, they instantly generate a call to our off-site call center. This call gives us the information we need to know the location and type of emergency that is taking place. We then distribute this information to your designated personnel and/or local first responders as part of your emergency response plan. For our business clients in Sacramento, California, BTE Communications can provide reliable message delivery services at a great price. We take messages via our live answering service or through personalized voicemail, and then forward them to you via text, email, fax, or phone. We'll work with you to create a customized account that meets all of your advanced message delivery service needs in Sacramento. BTE Communications can help businesses of all sizes with their dispatching needs. We can communicate with employees out in the field via cell phone, tablet, or two-way radio 24 hours a day. Our operators can handle emergency dispatching as well as routine or after hours dispatching. We'll capture all the information you need us to give to your field workers, and can also take payment information. At BTE Communications, our call center is able to act as your company's dedicated virtual assistant. No matter which of our agents answers your calls, they'll use your business name, follow your call script, and provide excellent customer service. Additionally, they can be instructed to help take reservations or schedule appointments. Call today to learn more. 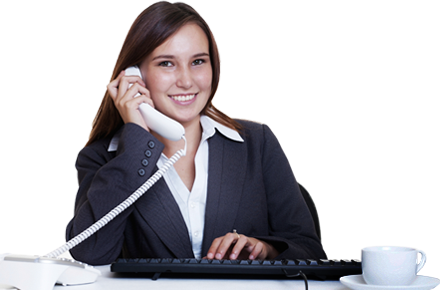 Virtual receptionist/reservation and scheduling services are available to businesses throughout Sacramento. BTE Communications performs inbound telemarketing for companies in and around Sacramento. We work with these companies to develop a comprehensive call script and order taking procedures. We can enter orders into our system or log in to yours. We can also take payment information accurately and securely. We can also gather phone analytics to track the success of your marketing efforts. 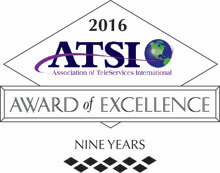 Above all else, BTE Communications excels at delivering exceptional customer service. To us, customer service means being responsive, attentive, friendly, informative, and helpful. Sacramento clients can have our call center agents serve as your company's virtual customer service department. We can answer common FAQs, handle customer complaints, screen calls, forward urgent messages, and more. BTE Communications specializes in meeting the unique call center needs of businesses in the oil industry. In addition to providing them with professional answering services, such as voicemail, live answering, message forwarding, call routing, and customer service, we are also the best source for reliable alarm monitoring and emergency response coordination. Alarm monitoring and emergency response coordination for Sacramento businesses that manage onshore and/or offshore oil drilling can have BTE monitor nearly any type of safety, perimeter, or fire alarm. When these alarms are triggered, a call will come into our call center with a code notifying us of the location and type of emergency you are facing. We will then place calls out to first responders and/or designated supervisors as detailed on your emergency plan. Call today to learn more about our oil drilling alarm monitoring and other answering services in Sacramento. BTE Communications' call center has served businesses in the healthcare industry throughout Sacramento, Elk Grove, Davis, and Santa Rosa since 1958. Our clients have ranged from medical offices, dental offices, hospitals, hospices, nursing homes, and medical centers. We provide them with the full range of answering services, such as taking and forwarding messages, voicemail, call re-routing, call screening, scheduling, and general customer service. We also take extra precautions to comply with HIPAA regulations, thus protecting our clients and their patients. Call today for a free quote. Our healthcare answering services in Sacramento are always competitively priced, based upon usage, and available on a month-to-month contract. Every client served by BTE Communications gets assigned a dedicated account manager who is in charge of developing a customized phone answering plan and ensuring that that plan continuously meets their needs. Our personalized service comes at no extra charge and helps our commercial clients get the exact level of service they require to meet their phone-related needs and budget. There are no long term contracts, and we charge our clients on a per unit basis. Each incoming call, cross connect, relay, page, email, or text is equal to one unit. Radio relays count as two units. By offering comprehensive phone answering services on such flexible terms, BTE Communications has become the call center of choice among businesses in Davis, Sacramento, Elk Grove, and Santa Rosa, from nearly every industry. Call today to learn more.